Do You Know The Concussion Basics? Do You Know The Signs and Symptoms of Concussion? Coaches: Does Concussion Safety Or Winning Come First? Athletes: Does Concussion Safety, The Team, Or Winning Come First? Parents: Does Your Child’s Concussion Safety Or Their Athletic Performance Comes First? 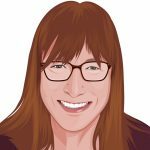 Author: Lindsey Straus is an award-winning youth sports journalist, practicing attorney, and has been Senior Editor of SmartTeams since its launch as MomsTEAM in August 2000. She can be reached at lbartonstraus@MomsTEAM.com. Affording the Latest in Football Equipment: A Car Raffle Is The Ticket! Study Linking Tackle Football Before Age 12 With Greater Risk Of Later Health Problems: Does It Hold Up Under Scrutiny? The Mind Matters Challenge is supported by a DoD Grant and Cooperative Research & Development Agreement. This website contains general information about medical conditions and treatments, is not advice, and should not be treated as such.